!! OMG, ANTM made an actual top model !! Look! A Top Model winner… modeling! 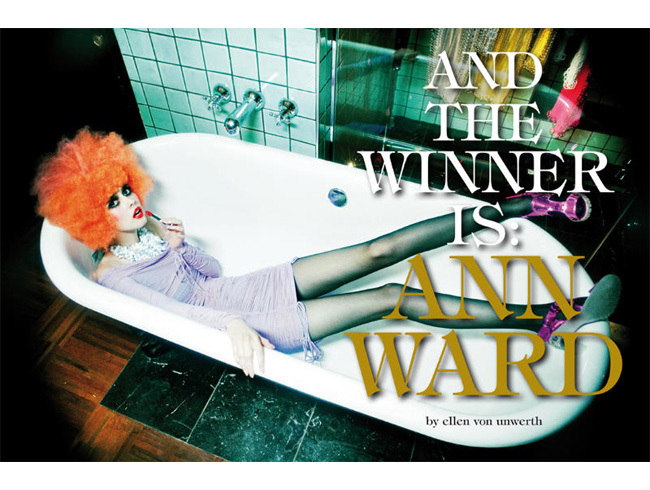 Cycle 15 winner Ann Ward‘s Vogue Italia spread is out. And while I’m still not convinced that she can do anything other than the “scared baby bat” eyes, I will say that Ann looks pretty great in big orange hair. The editorial is shot by Ellen Von Unwerth and the story is written by, oh yes, Tyra Banks. More photos after the jump. Be the first to comment on "OMG, ANTM made an actual top model"